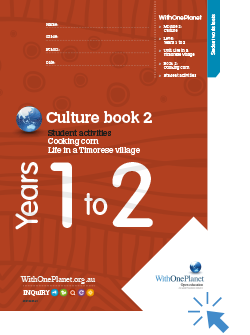 The WithOnePlanet Culture unit introduces Australian students to the culture and way of life in Timor Leste. 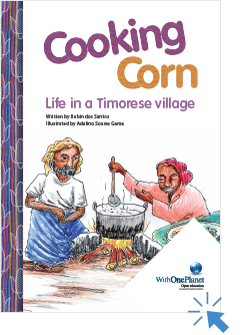 This includes stories and activities about a typical day in the life of a Timorese child, games that children play, food and examples of cultural beliefs and myths. Australia and Timor Leste are close neighbours that have a long, intertwined history. Now, more than ever, schools and young people in Australia are wanting to learn about and visit Timor Leste. 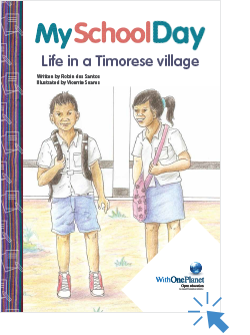 The WithOnePlanet culture units aim to facilitate classroom learning about Timor Leste with useful and informative resources for teachers. 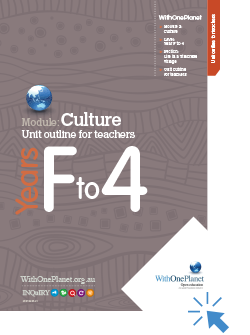 For Years 5 to 6, 7 to 8 and 9 to 10, resources are provided in the form of whole-term units, consisting of 9 lessons. 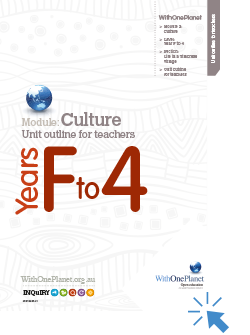 For the Years Foundation, 1 to 2 and 3 to 4, the resources consist of stand-alone lessons. 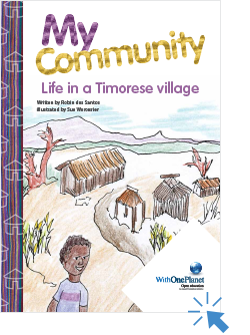 Each lesson contains a children’s book about Timor Leste, teacher notes with background information and discussion topics, and a set of age appropriate activities designed for Years Foundation, 1 to 2, and 3 to 4. The activities for each Year level consist of cloze activities, matching and ordering activities, word-finders, crosswords, finish-the-sentence activities and art activities, among other things. These activities will be added to over time, and we welcome input and additional activities from teachers.